I've recently been getting into sewing Sportswear lately, so I was thrilled when Stylish Fabric wanted to partner with me to create an athletic look using their fabrics. 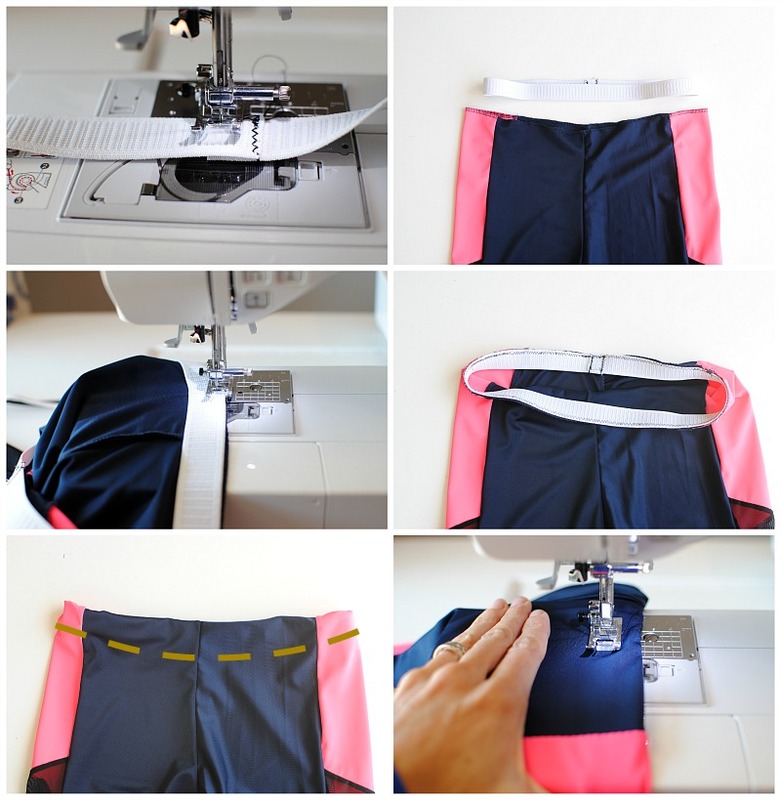 As a competitive track athlete since I was 5, running is right there with my sewing passion so whenever I can combine the 2 is my perfect combo. I've been lucky enough to wear test samples for many global sports brands before they even hit production. I've seen first hand what goes into quality Sportswear. Fabric is key and thankfully I found my go-to from Stylish Fabric. 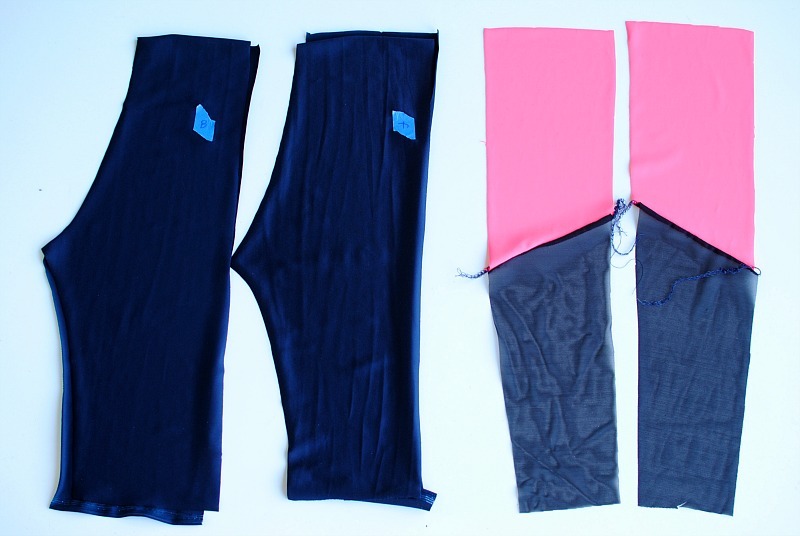 They have everything from Spandex to Power Mesh and everything in between at affordable prices. For this first look, I went 90's inspired with the trendy cycling shorts. Very Euro-Track! They're perfect for spring conditions where the weather is in between but also proper enough to run errands post workout with the kids. It's important to use the right materials for Sportswear. 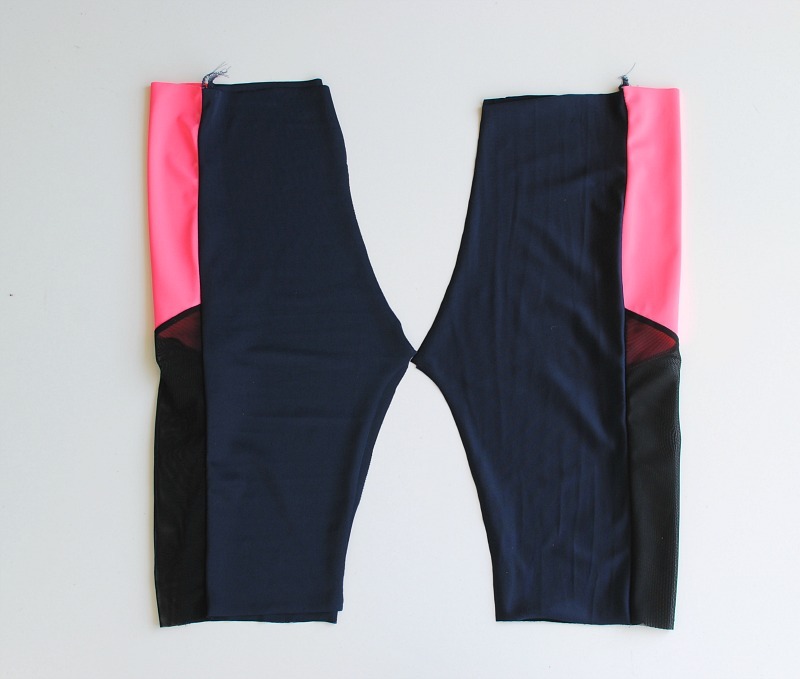 I typically look for a nylon/spandex blend with 4-way stretch. You will want to use high quality fabric with stretch and coverage. Stylish Fabric has a great selection of fabrics made for this. I went with their Matte Tricot Knit that comes in a several colors and Power Mesh for side paneling. Both have high compression quality and durability. You can't go wrong with any of the selections here. 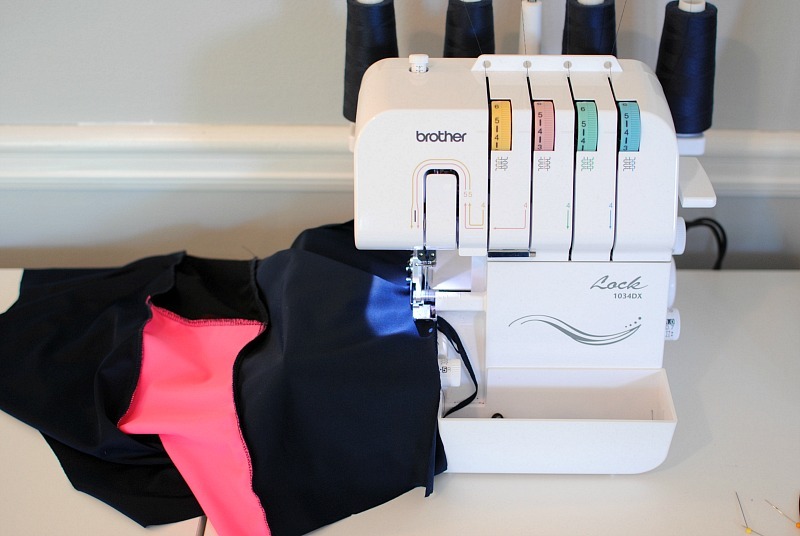 I am using my Brother 1034DX Serger and my Brother SE625 Sewing and Embroidery Machine. 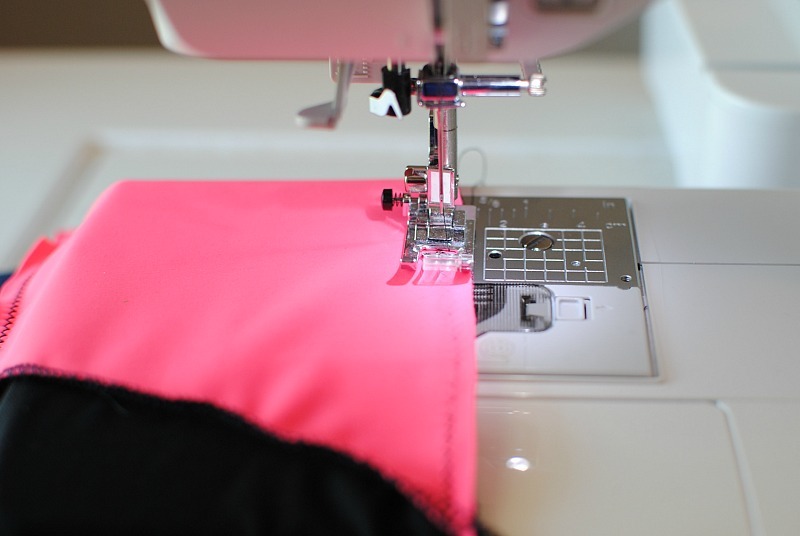 It's ideal to have a serger but not necessary. A sewing machine will do just fine. Pattern: I drafted a pattern. 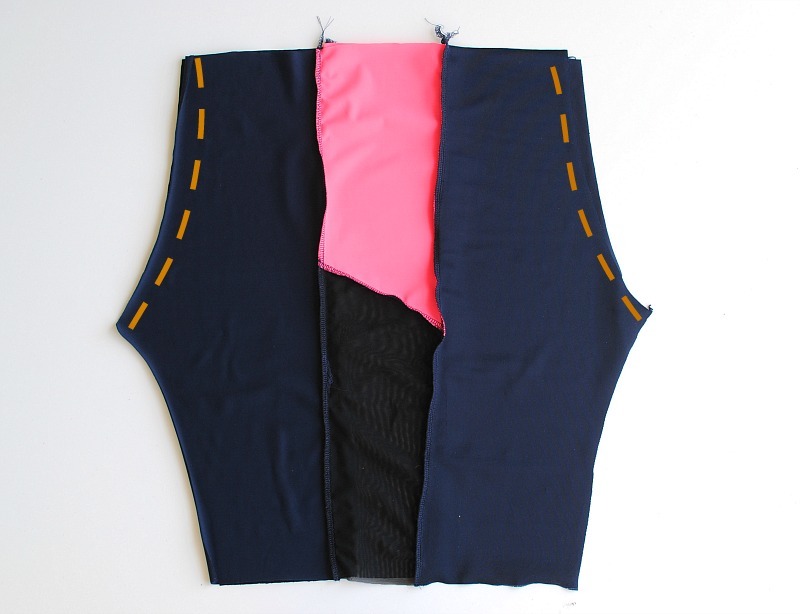 Use a garment to draft your pattern that fits you how you'd like the cycling shorts too. I used a pair of capris and shortened the hem line. You can use a pattern or sloper as well. 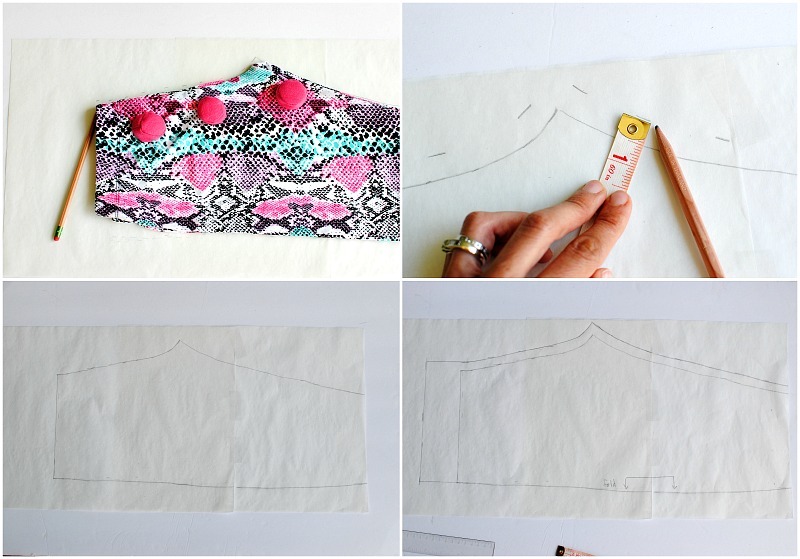 Lay the garment flat on top of pattern paper and use pattern weights if necessary. Trace right along the garment edge onto the paper. Add a seam allowance border. I usually do a 1/4" to 1/2" seam allowance so add that as a border around the pattern. 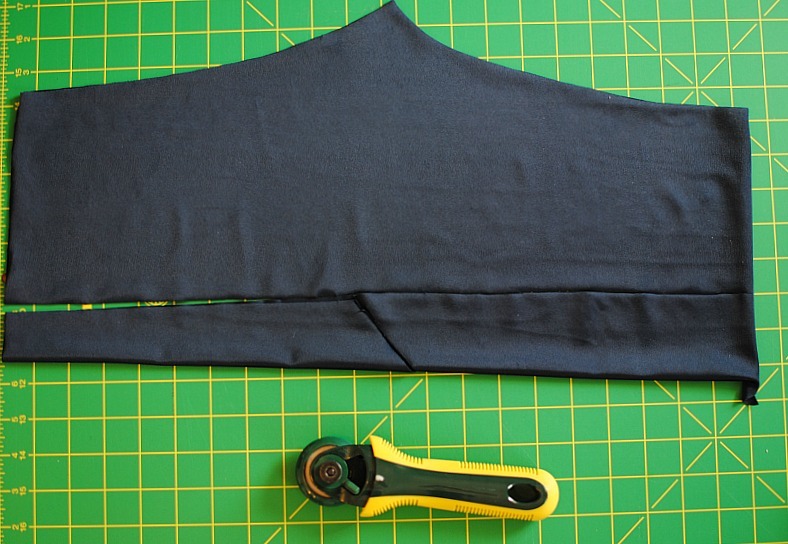 Make sure to add an additional 1" to 1.5" (or more if necessary) above the waistline for the elastic waistband. Keep in mind the width of the elastic you intend to use. Mine was 1" so I added an additional 1.5" for the elastic casing and the allowance. 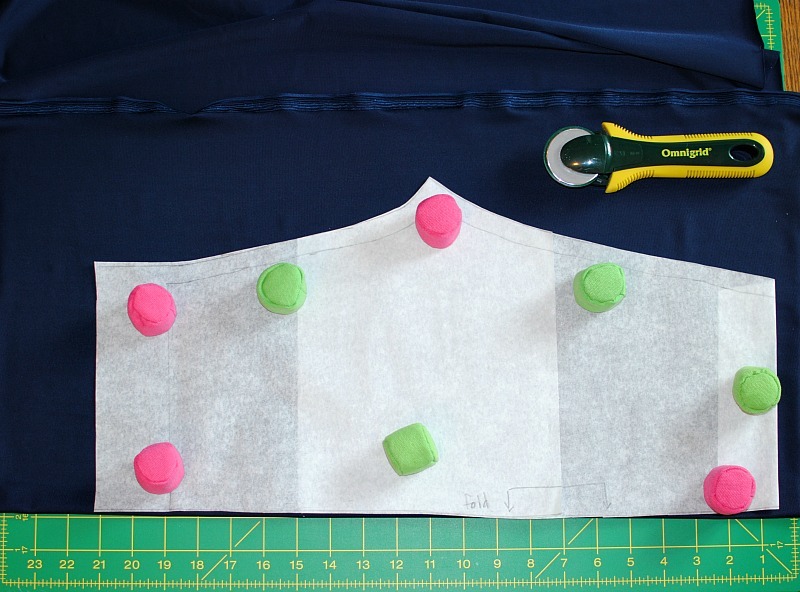 Add an additional 1/2" to the bottom edge for hem allowance. Add your necessary pattern markings (fold, front, back etc.). Repeat for the back if necessary. 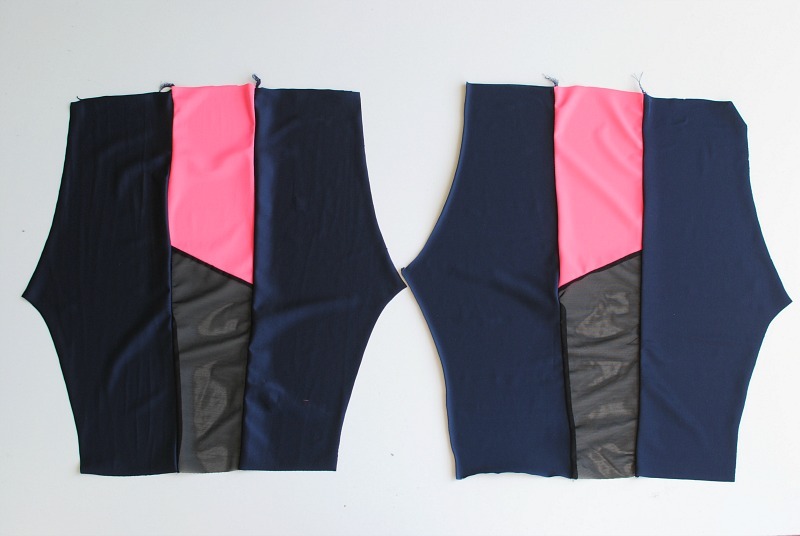 Pattern Layout/Cutting: When working with stretchy fabrics like spandex (or any knit for that matter), I use pattern weights, a rotary cutter, and mat to cut the pattern out. 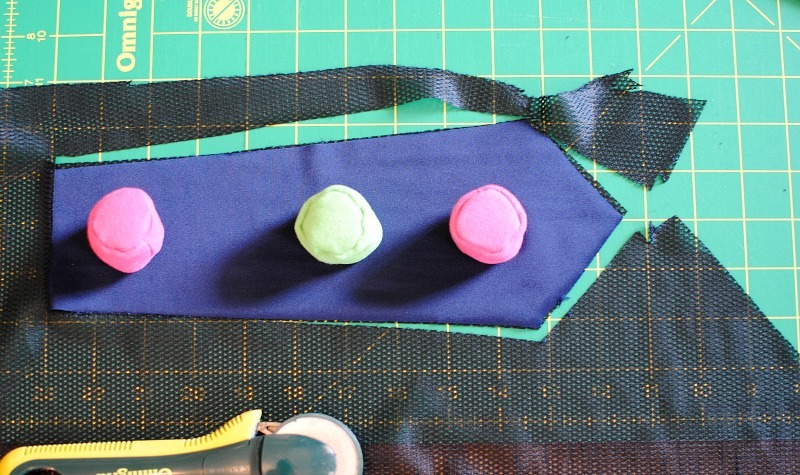 It's much easier this way, saves time, and great for stretchy materials like knit. I wanted to add a side panel with color blocking. So I removed a portion of the side and used those pieces to create seperate patterns. Make sure to add a 1/4" seam allowance on the pattern edges. You will want to use a ball point needle when sewing with spandex/knit fabrics or you may get skipped stitches. I also use a zigzag stitch (2.5, 2.0) unless I'm using COATS Eloflex stretchable thread then you can use a standard straight stitch. 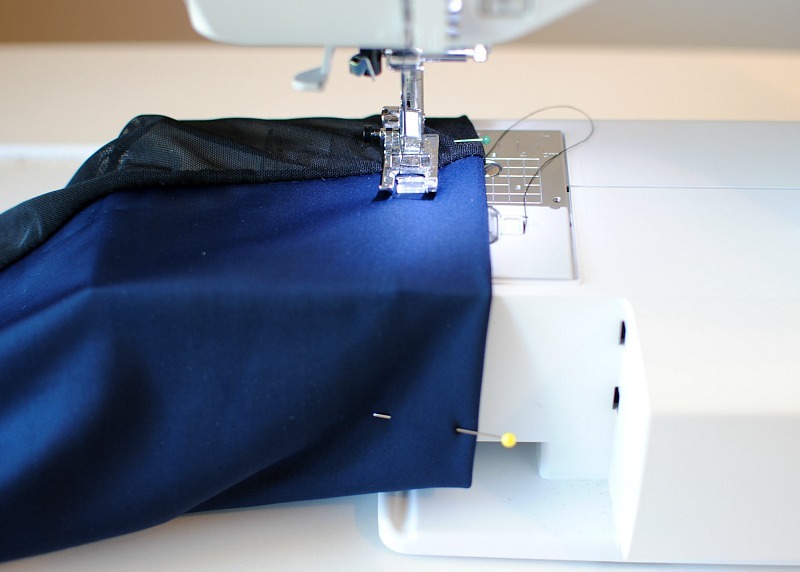 Professional tip: use a twin needle for the finished hems. It has the finish similar of a Cover Stitch Machine and a professional result. At this point the pattern should be cut out. I have already sewn my side panels pieces together. It's a good idea to label front and back pieces. I use painters tape and mark f and b. Place front and side panels right sides together, pin, and sew or serge. Now place the back rights sides together on the alternate side, pin, and sew. It will look like this overall. If you don't add side panels it will be once piece. From this point you can sew the center front and center back or inseams of the legs. I decided to do the center front first but either or is fine. Place both legs right sides together pin center front and center back together and sew. Now you should see the shorts start to come together. Place them wrong side out. Pin the front and back inseams together and sew. 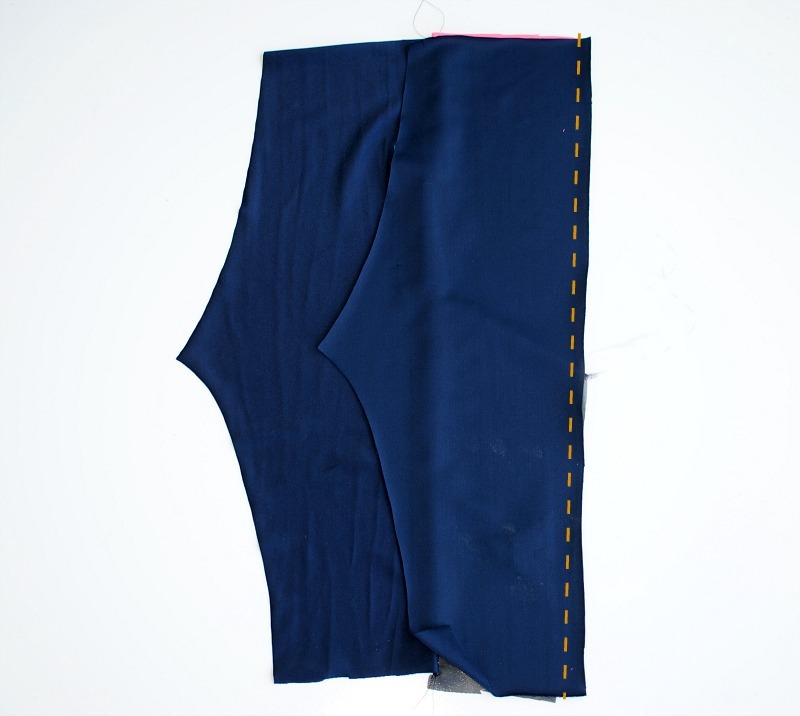 Tip: I like the center front and back seams to be in perfect alignment so I prefer to sew at the mid seam and go down one leg. Then I go back up to the seam and sew down the alternate leg. You can always adjust the hem length if it's off 1/4" or so but if the crotch seam is off then it's a lot of unpicking. Measure your waist and use that measurement to cut the elastic to that exact length. Over lap the elastic 1/2" and zigzag stitch closed. 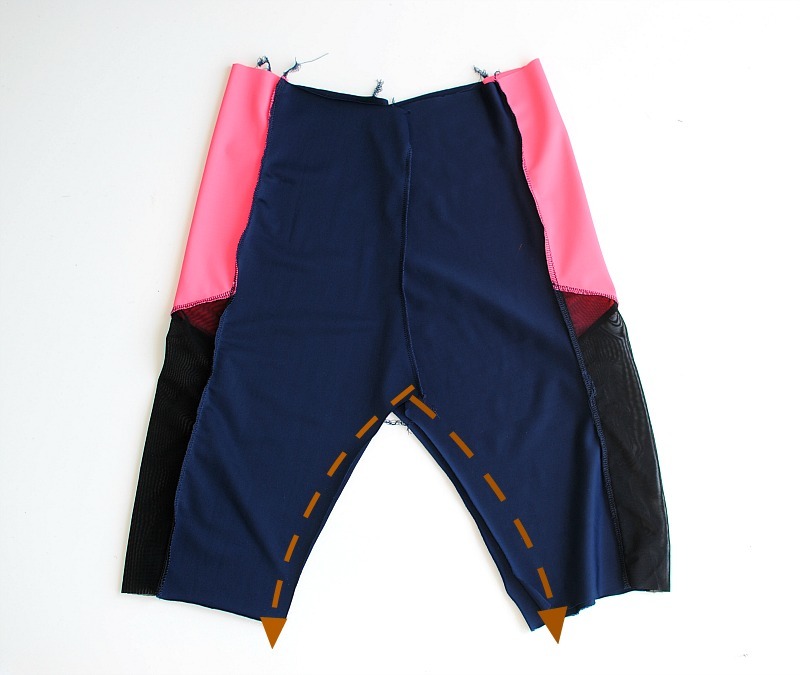 Find the midpoints of the elastic and midpoint of the shorts (side seams). Pin the points together and if need be find the quarter points as well. Sew (using a zigzag stitch) the top edge of the elastic to the top edge of the wrong side of the waist about 1/16th from the edge. As you sew pull the elastic to meet each point. Fold over the elastic and top stitch along the bottom edge of the elastic using a zigzag stitch or twin needle. Now all that's left to do is flip the bottom hem up and sew a 1/2" hem. This is a good time to use a twin needle! Now you should be ready to GO! ***In collaboration with Stylish Fabric. Woah, this so nicely explained article. After reading this article, It looks like its not that hard to make stuff with our own sewing machine. You are looking gorgeous in this outfit, It is really nice and I like to use these types of sportswear during exercise, It is too cool to wear. Visit on Borgz Teamwear to Design Your Own Sportswear Australia. We provide Best assignments help Australia to the students like case study, essay writing assignment help, Report Writing, Custom writing, nursing assignment help and more. Our team has experienced assignment experts at best price by Assignment provider. Who looking for Engineering assignment help from Enginering expert get a contact with sample assignment. customer satisfaction is the utmost priority, hence, the quality inspection team makes sure that every assignment is entirely unique and does not contain any sign of grammatical and spelling errors before reaching the client. Can an assignment helper in improving a student’s academic performance? Yes, Our academic experts are committed to delivering high-quality assessment solutions to you and work under a certain date of timeline Certainly! And, this is why we are here – to help you achieve the top grades!